Argentina and Barcelona star Lionel Messi has moved a step closer to being tried for tax evasion after a Spanish high court rejected his latest appeal. Messi and his father Jorge are both accused of defrauding the authorities of more than €4m (£3.1m; $5m). 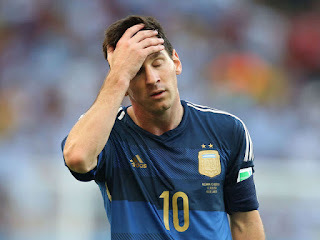 The court ruled that Messi should not be granted impunity for not knowing what was happening with his finances. The pair, who deny the charges, are alleged to have withheld the money between 2007 and 2009. The income related to Messi's image rights, including contracts with Banco Sabadell, Danone, Adidas, Pepsi-Cola, Procter and Gamble, and the Kuwait Food Company. The footballer and his father are suspected of avoiding paying Spanish tax by using companies in Belize and Uruguay to sell the rights to use Messi's image. The high court in Barcelona said on Wednesday that a decision over whether or not the accused was aware of the fraud scheme should be left for the court hearing. Messi's defence argued that the player had "never devoted a minute of his life to reading, studying or analysing" the contracts, El Pais newspaper reports. It follows a similar ruling from a Spanish judge in October last year, when an appeal by the prosecutor to quash the charges against the star striker was thrown out. They had recommended charges be dropped on the grounds that Messi's father was responsible for his finances. Messi and his father made a voluntary €5m "corrective payment", equal to the alleged unpaid tax plus interest, in August 2013.